The role of manager is often belittled in modern football, where a team’s success is seemingly pre-defined by a club’s financial outlay and the corresponding calibre of player purchase which accompanies it. The man on the bench can only influence so much, and is a hostage of fortune to the performances of the millionaires on the field before him. All of that is completely inapplicable to the arrival of Jurgen Klopp at Anfield, a beaming monolith of German charisma replacing a man who once bounced with enthusiasm and energy but in recent months seemed to shrink in stature, reminiscent of a week old child’s birthday helium balloon. Klopp’s appointment has changed Liverpool’s fanbase overnight from grumpy old men sitting around wondering if tomorrow would come at all, to excited children on Christmas Eve dreaming of what the next morning could bring. Their glee is justified. As is the nervousness from rival fans which greeted his appointment. A crumbling relic of ancient history, Liverpool FC once again looks alive with possibility. In Klopp, Liverpool’s American owners have appointed one of the top three managers in world football and the club’s fans and most importantly the Liverpool players know that his arrival signals a dramatic shift in the direction of the club. Players such as Dejan Lovren or Joe Allen who had the backing of Brendan Rodgers will no longer feel secure in their positions, while others who have been “out in the cold” such as Jose Enrique will get a fresh impetus of hope. Whilst the Northern Irishman very clearly had difficulty controlling the strategy of LFCs now-notorious transfer committee, there is reason to believe that his replacement will have no such problems. As much as the former Mainz and Dortmund manager has a reputation for being casual and entertaining, he has shown no lack of ruthlessness in the past. On his arrival at Dortmund, he found that club’s two highest rated players Alexander Frei and Mladen Petric were unsuited to his high energy style of play and so they were quickly moved on to pastures new, Basel and Hamburger SV respectively. He has often said that the 11 players who he selects may not be the best players at the club, but they will work best together. That should say it all to his new Liverpool squad. His style is all about high energy and “countering the counter attack”, pressing the ball when possession is lost in an attempt to catch the opposition in transition and off balance. In defense, Klopp has never played with a three centre back formation so it looks like two of Skrtel, Lovren, Sakho (and Can perhaps?) will have to battle it out for the starting positions, while attacking fullbacks Nathaniel Clyne and Alberto Moreno should be ideal for the new system. In midfield, Jordan Henderson should suit the role of the energetic ballwinner and sit alongside a deeper lying, good passer such as in the short term Lucas. 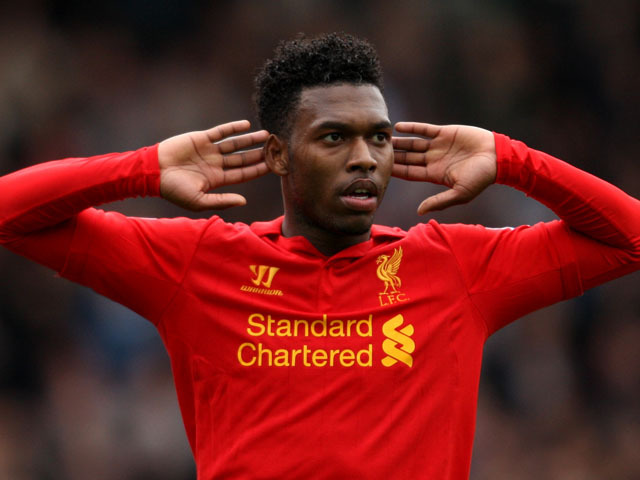 Up front Daniel Sturridge showed he can play in a similar setup during Liverpool’s sensational 2013/14 campaign when playing alongside Luis Suarez. Christian Benteke would be a bit of a departure for Klopp as he never played with a targetman as such, but the Belgian’s “lack of mobility” is overstated if not outright unfounded. Of all the players who should shine under Klopp, it is new signing Roberto Firmino who could benefit most. Having suffered a slow start to his Reds career, a wide left berth cutting in behind either Benteke or Sturridge with service from Philippe Coutinho in the No.10 role should suit his skills perfectly and show the Premier League why the club paid Hofffenheim £29 million for his services. On Fanfeud, the game by game fantasy football site, you can select 5 players from any Barclay’s Premier League fixture. Your players gain points based on goals scored, assists provided and minutes played. In this Tottenham v Liverpool clash, my recommended selection would be to back predominately men in Red shirts. Players are always keen to impress their new manager, and it is not just any manager in their dugout, this is Jurgen Klopp. They will either show themselves good enough to be Liverpool players, or they will be shown the door and it all starts this Saturday lunchtime.